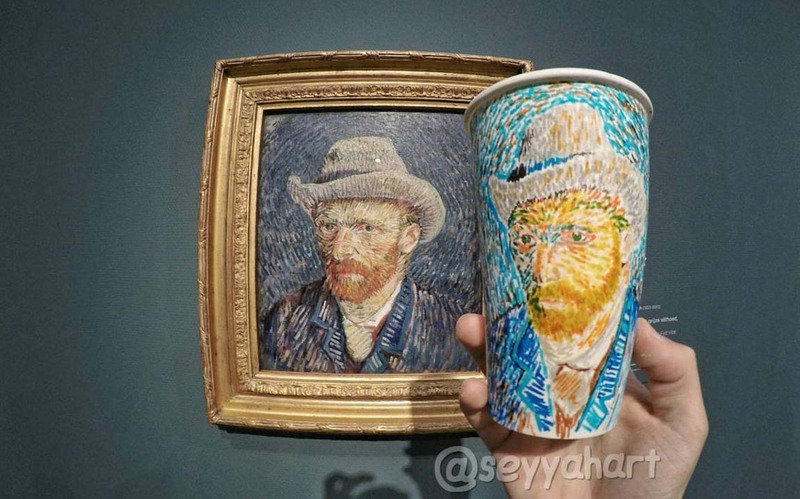 He travels with plain cups in his luggage and creates works on the road. Some people keep track of their favourite travel moments in a diary, others on Instagram. But few are patient or talented enough to document their favourite memories in meticulous paintings and sketches made on coffee cups. Twenty-two-year-old Berk Armagan is a self-taught artist from Turkey and says he usually decides what he’ll be drawing before he sets off to see the sights, though sometimes he’s inspired by the streets around him in the moment. In a post on Bored Panda, Armagan explains that he travels with the plain cups in his luggage (which is handy if you want to avoid brand names getting in the way of a beautiful piece of art), and completes each work on the road – which is all the more impressive when you consider the fact that he’s a backpacker who hitchhikes to get from place to place. He adds that he sells his miniature works of art to fund his travels and contribute to charities that provide food and shelter for stray animals in his native Turkey. Cheers to that.